From La Sainte Chapelle we headed to Place de la Concorde, which is at the far end of Champs-Élysées. Place de la Concorde used to be Place de la Révolution, the square where they hold the executions during the revolution. 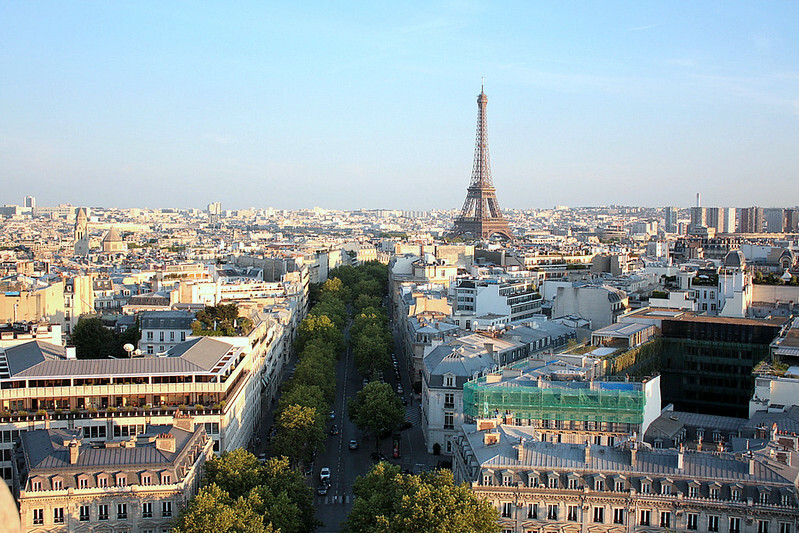 More than 2,700 people were guillotined here, including Queen Marie Antoinette. 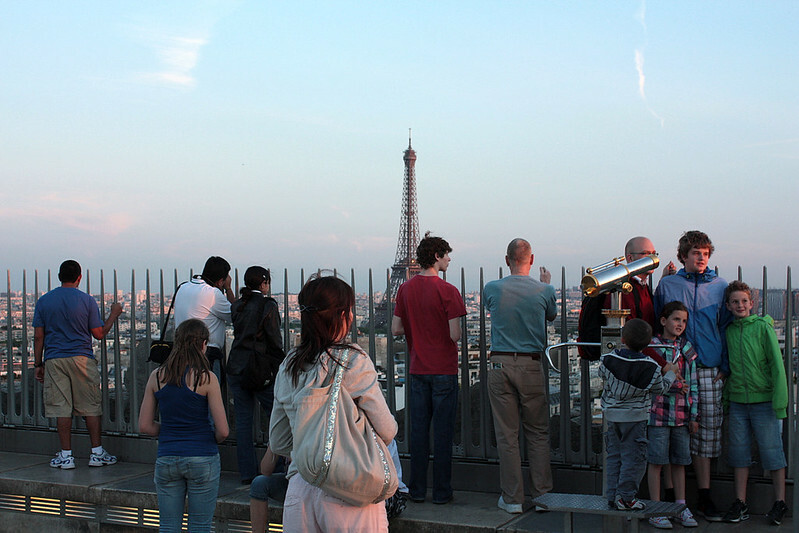 The guillotine is no longer, and two fountains were built at the square. 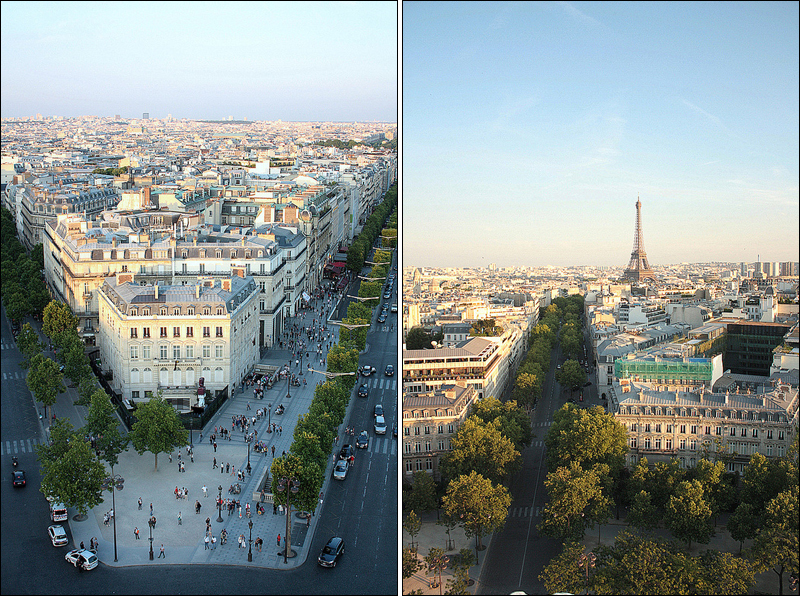 They have become the iconic fountains of Paris. They were modelled after Roman fountains at St. Peter’s Square and Piazza Navona. 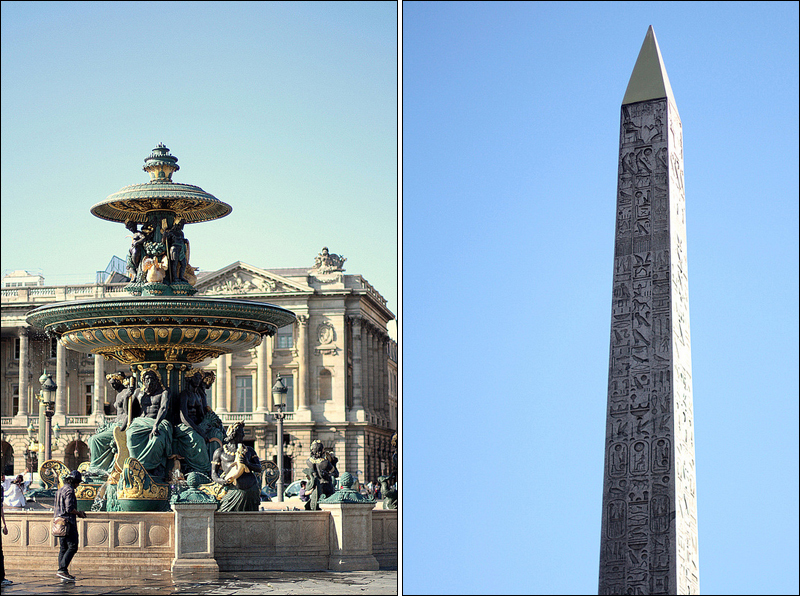 Just between the two fountains is the 3,300 year-old Luxor Obelisk, a gift from the Egyptian government to France. It used to mark the entrance of the Luxor Temple. 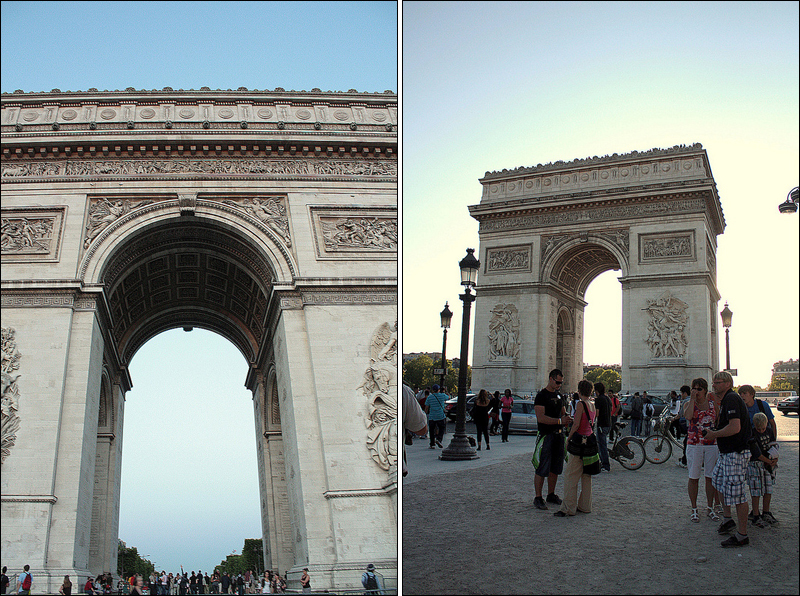 From Place de la Concorde, the Arc de Triomphe is at the other end of the 3.2 kilometre stretch of Champs-Élysées. We originally planned on walking but the sun was blazing and we were simply too tired. Took the metro and got off at Charles de Gaule – Etoile. 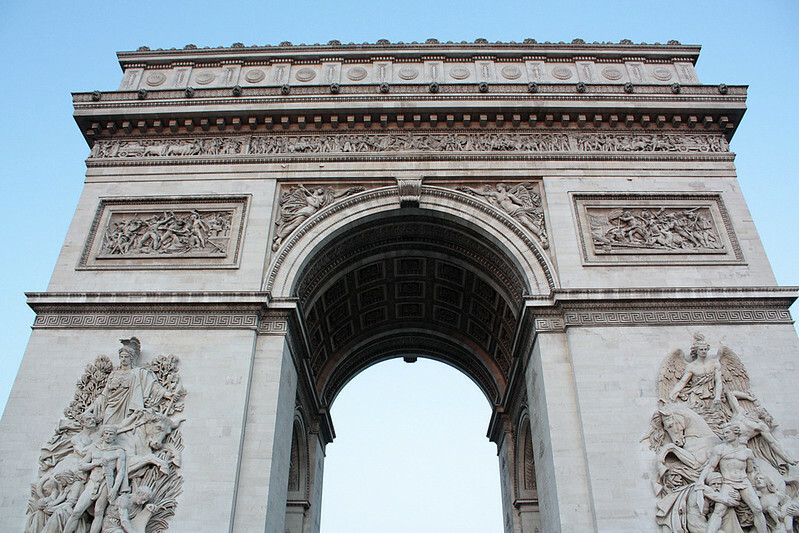 Tip: don’t cross the roundabout to get to Arc de Triomphe. There is an underground pedestrian passageway. A group of elderly American ladies attempted to cross in the middle of bustling traffic, needless to say it caused quite a spectacle, with the gendarmes yelling at them and all. 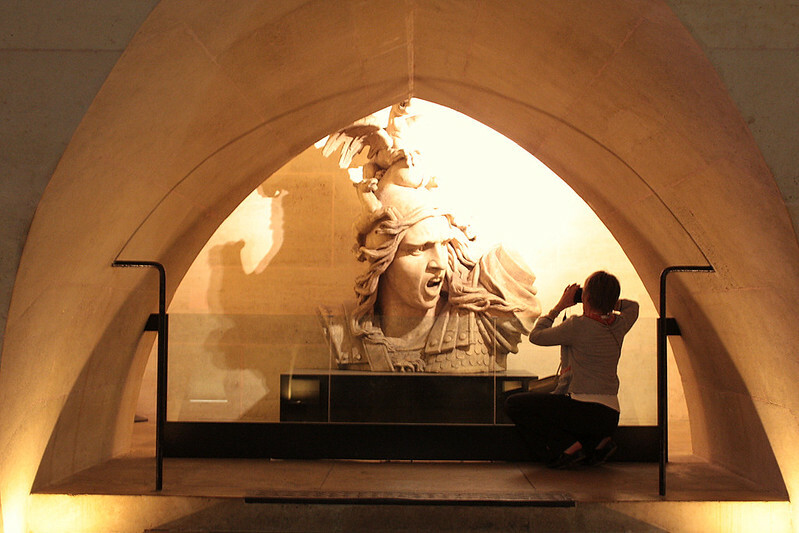 The Paris Museum Pass covers the entrance to the Arc. (A ticket would normally cost 9€.) We took the stairs 284 steps up. There is a gift shop and a couple of exhibitions at the mezzanine area. 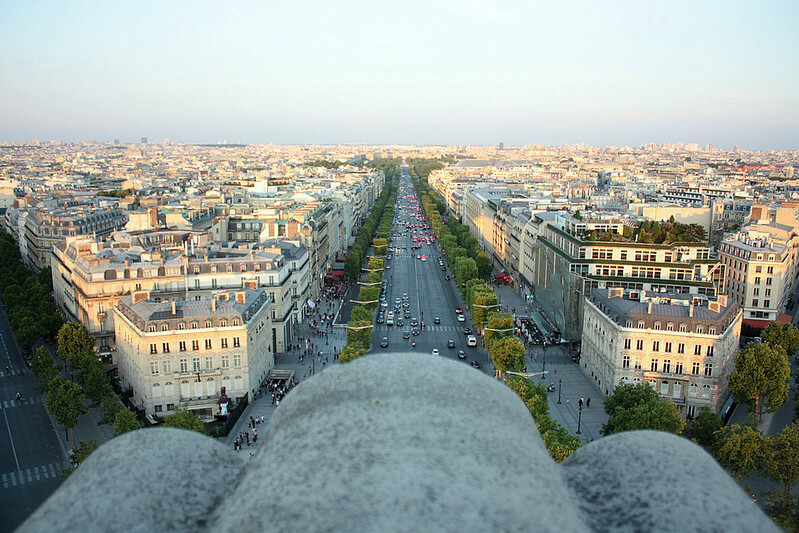 Twelve main avenues converge at Arc de Triomphe. 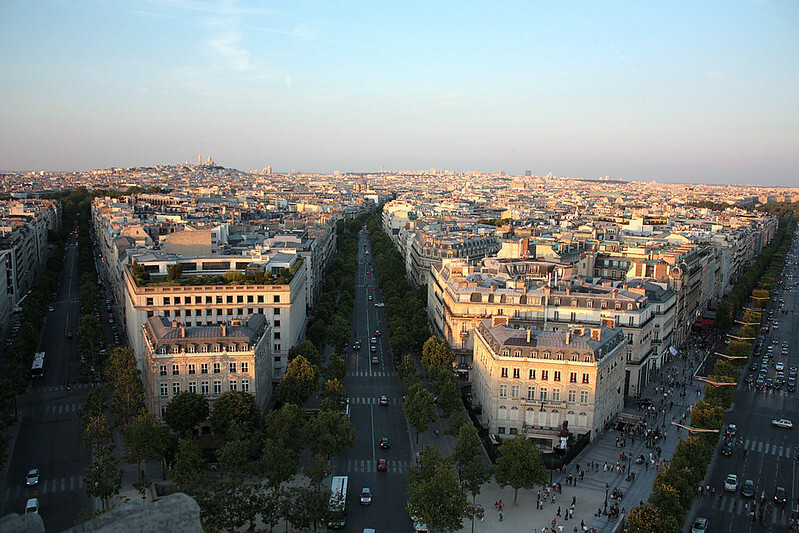 Baron Haussmann absolutely planned this city so well. Note that the buildings almost look the same, and are of the same height. Seeing this made me smile!